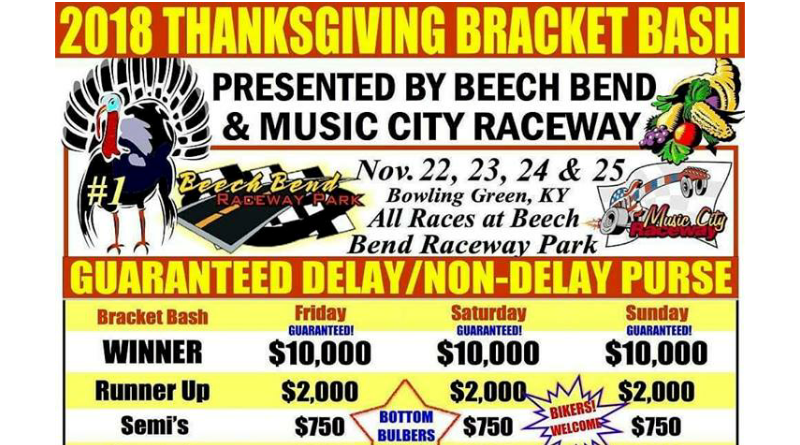 BOWLING GREEN, Ky. – Big dollar bracket racing comes to Beech Bend Raceway Park with the 2018 Thanksgiving Bracket Bash, November 22-25. Racers will have three shots at a $10,000 payday over the three-day event presented by Beech Bend Raceway Park and Music City Raceway. For more information see the event flyer posted below.